For panel installation. 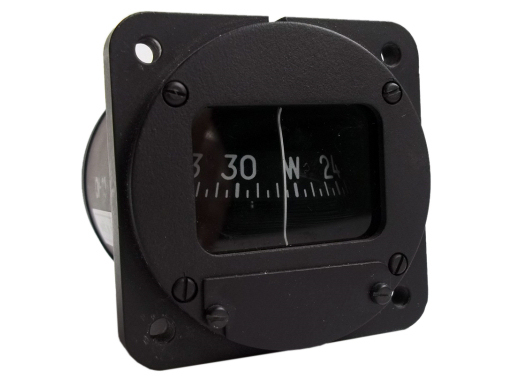 Compensation is acchieved through magnets that are installed in the compass. They can be influenced from outside by two screws.